The Africa Fashion International (AFI) Young Designer of The Year 2016 has been awarded. This year the three upcoming designers/finalists not only showcased their fabulous spring/summer collection to the world at the Mercedes Benz Fashion Week Joburg but also got the chance to collaborate with South African celebrities. Tayla Nguskos collaborated with TV Star Minnie Dlamini, Buda Malete with DJ Tira and Chesney Williams with DJ Zinhle. 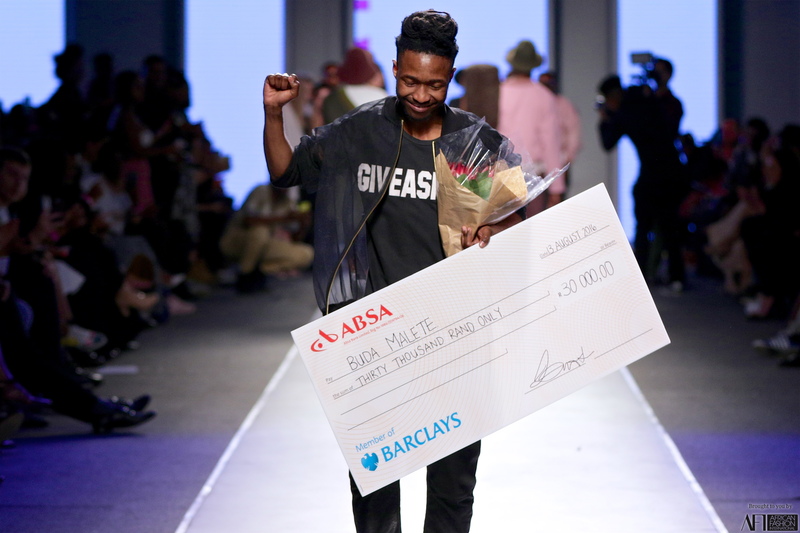 In the end it was Buda Malete’s menswear collection that took the coveted title. Buda scored a whooping R30,000. How cool is that? Wow you deserve it. What a talent and dedication.